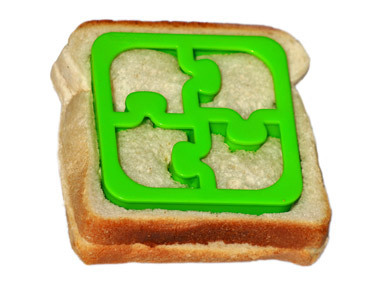 Remember when you had to have the crust cut off your sandwiches?? I do, and don't blame The Buddy for not wanting it on his sandwiches. Now if I could just get him to eat whatever I put in front of him. (sigh) I know this is a daunting task at most homes, but maybe The Lunch Punch will bring us a step closer. The idea behind lunch punch is a way to get the crust off your bread while keeping as much of the rest of the bread as possible. I like it! 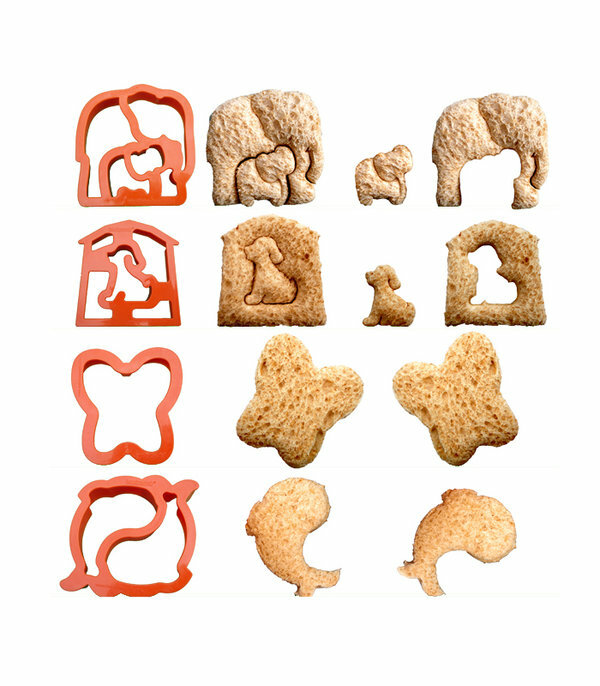 They even made it taller than a regular cookie cutter to accommodate for 2 pieces of bread. I dare your Buddy to not eat his food now! Note: These would also make a great party appetizer at your Buddy's next birthday party! 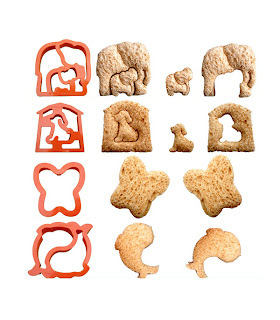 Match & Munch Puzzle Cutter comes in a set of 4 different puzzle possibilities!